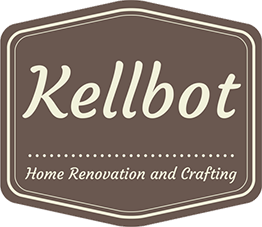 Starting to feel homey - Kellbot! | Kellbot! Had a fairly relaxed weekend down the shore with some work, but not the usual breakneck pace. A couple friends came in to visit from out of town which means I actually set foot on the beach for the 2nd time this summer. Most of my effort went into painting the cabinet doors, which I primed last time I was down there. Unfortunately the painting did not go as smoothly. I kept getting all these tiny air bubbles in my paint despite using a conditioner which is supposed to eliminate those sorts of problems. Eventually I found that thinning the paint with a little water helped, but I only figured that out 2/3 of the way through the process. I have 5 doors that are done, another 7 or so doors that need their final coat of paint, and then another 10 doors that have irritating bubbles I must sand down and recoat. So overall paint progress is about 60%. 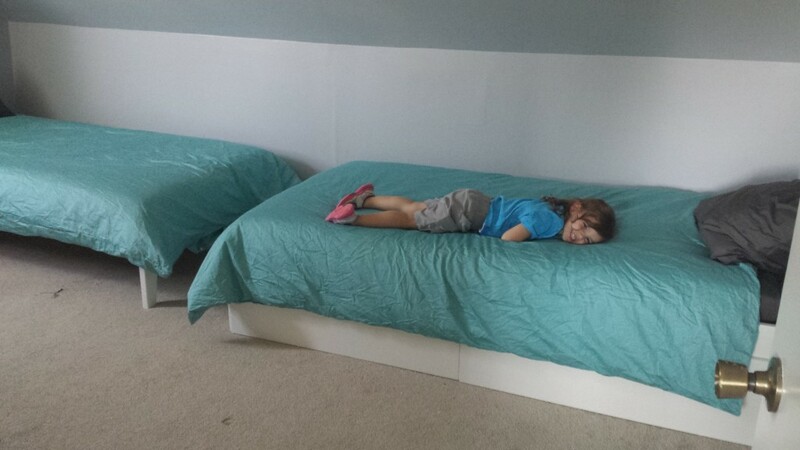 I set up the two twin beds we got from Wayfair. Honestly they made me appreciate how easy Ikea stuff is to assemble, the Wayfair beds were a pain. The manufacturing tolerances were clearly too great and a lot of stuff just didn’t fit together well. The bed on the right has two drawers for storage, and the bed on the left has a trundle bet I have yet to assemble. Also is ironing sheets a thing? Because I could not for the life of me prevent the Ikea duvet covers from looking like a crinkled mess. 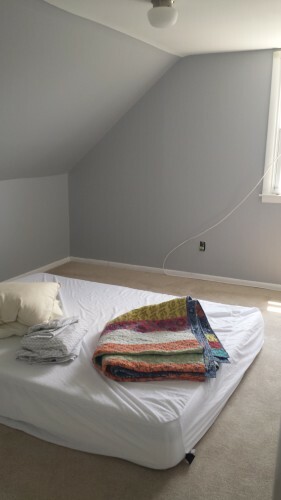 I might eventually turn the beds so they come out into the room, but with the HVAC system still mid-replacement (it’s located in that room’s closet) I figured having the beds out of the way was good. Our fancy hipster mattress. I put off making it until next time. Also I need a bed. The snazzy new Tuft and Needle bed arrived on Friday. Unboxing it was surprisingly dramatic. 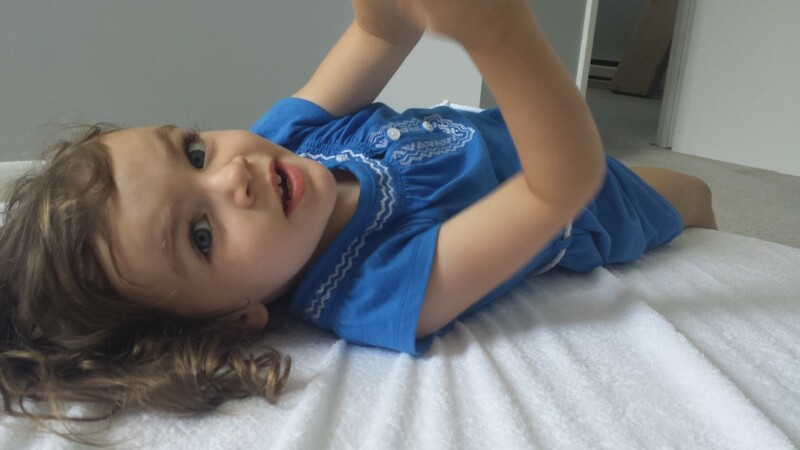 I didn’t take a video of it because there are dozens on instagram already, but it is surprisingly fast to go from a 2″ thick thing that looks freeze-dried to an actual 10″ thick queen mattress. It feels like a mattress. I’m not sure I like it drastically better than the ikea mattress + foam topper from Amazon combo, but they net out to similar prices anyway. The pink tile in the bathroom is sort of growing on me, which is actually a shame because that whole bathroom has to be redone. There’s no way to fix the deathtrap shower without ripping up the tile, and the tile is also not in great shape. I can’t imagine putting fresh pink tile back in, but I’ll be kinda sad to lose this stuff. 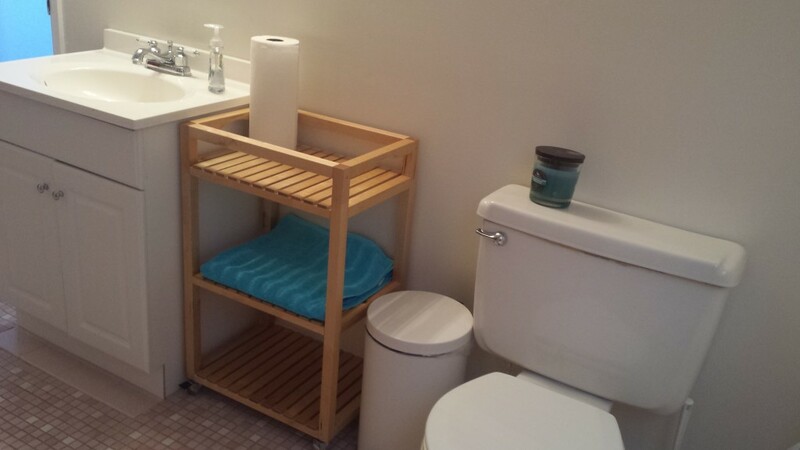 While we still don’t have hot water the bathroom now has a little cart to hold things, and there’s a hand towel hanging on the towel rack so you can dry your hands. The kiddo helped assemble the cart and she’s actually pretty good with an Allen wrench. Another big task for the weekend was ripping up the stick on tile in the small first floor bedroom. The tiles came up easily but they left behind a gross sticky residue that we weren’t able to get up satisfactorily. We tried both water and mineral spirits. When I say “we” I really mean my friends because they did all the work in that room. Since the goo won’t totally come up I’m just going to put some paper down over and it and lay the new flooring on top. It’s that or replace the subfloor (lol no). Finish painting the trim in the one bedroom. It’s actually starting to feel like a manageable list. I’m REALLY hoping to have hot water by the end of the month, but I’m not holding my breath. Twinsies on that bathroom trash can! After months of cruising yard sales / thrift stores / craigslist and realizing the amount of time that goes into finding stuff that isn’t total junk… I’m kinda giving up. Even the beds I got on Wayfair were kinda meh. Ikea comes through for me every time. The house is going to look like an Ikea showroom. Whatever.